Honey is not only sweet treat for adults and children, it is also a source of valuable trace elements, medication, gifts of nature. And yet it is not helpful to all - the honey can cause allergic reactions. The manifestations of Allergy can range from unpleasant, but generally harmless skin reactions to extremely dangerous and even life-threatening conditions. Common signs of honey Allergy – redness and rash on the skin of the face or body. The rash may be accompanied by itching. There are also such symptoms of allergies such as sore throat, swelling of the eyelids, tongue, lips, mucous membrane of throat or nose. May start coughing or allergic rhinitis (runny nose), sometimes appear watery eyes and sneezing and, less frequently, allergic conjunctivitis (inflammation of the mucous membrane of the eye). More rare symptoms of honey Allergy – headache, General malaise, fever, more rarely, abdominal pain and nausea. The most dangerous kind of allergic reaction, anaphylactic shock (a decrease in pressure, convulsions, bronchospasm). This reaction is rare but requires immediate treatment for medical help. If you are not sure whether you have honey – do an Allergy test: apply a little honey on elbow or associte mouth. If the skin is reddened, the mucosa of the mouth start to burn or sting, swollen lips – honey is contraindicated for you. In connection with weak immune system are allergic to the honey in children typically manifests more frequently and more rapidly than adults. Therefore, young children (under 3 years) honey to give not recommended, and parents of grown up kids, willing to spoil the child or use honey as a medicine, should strictly control the amount of sweet treats. This is especially true of children who have previously experienced allergic reactions or have relatives who are allergic to honey. Allergic to honey itself is rare and usually has a hereditary character. However, we must remember that honey is a multi – component product and an allergic reaction can trigger hypersensitivity to any of its components. Often inadequate response of the body occur because of the pollen contained in the product, especially if the honey has not passed the technological process completely. After treatment, bee pollen, enzymes poses no risk to the allergic person, however, a residual quantity can still be present. Therefore, those who are allergic to a certain type of pollen, should not eat honey the same species. Allergies can cause the antibiotics used by beekeepers to treat bee and chemicals used for the treatment of hives. 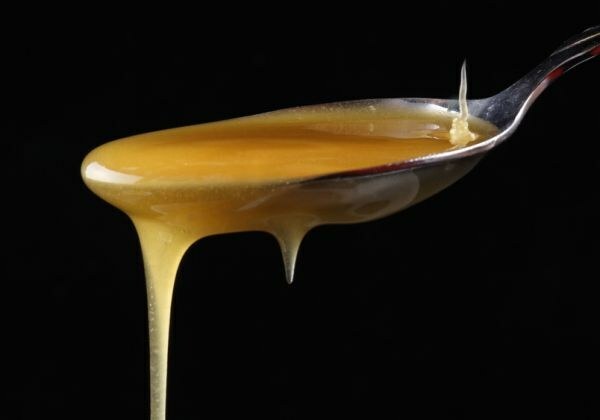 At observance of sanitary norms in honey, these substances should not hit, but if the manufacturer is not integrity, the product can be a real cocktail of various chemicals. To protect yourself from consuming low-quality product possible, buying honey only from reliable manufacturers. Another trap – a fake product containing flavorings, sugar, chalk, starch and other additives. In this case, the allergic reaction is caused not so much honey, how much adulteration. Sometimes under the guise of quality and useful product hides the mixture, do not contain honey.